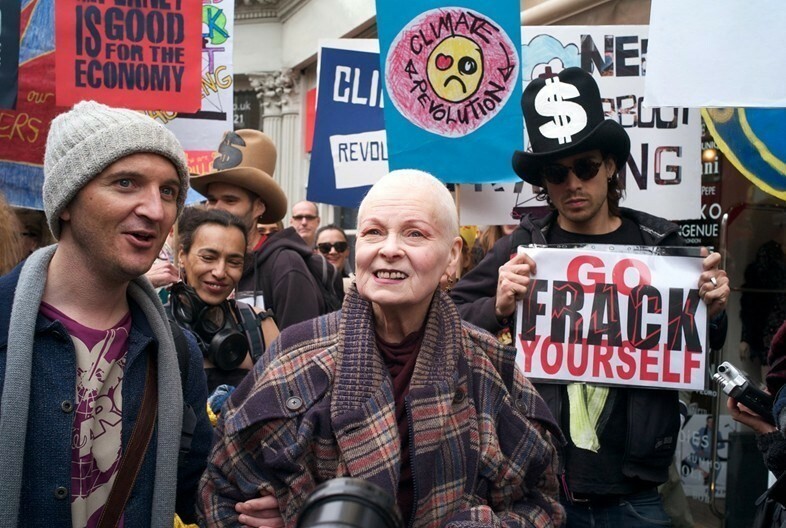 Fashion designer, punk icon and environmental activist Dame Vivienne Westwood has called out the British Museum for its sponsorship deal with oil giant British Petroleum. Westwood was amongst 100 signatories of a letter to Dr Hartwig Fischer, who has recently been appointed director of the British Museum, which was published in The Guardian. Other signatories included Bianca Jagger, Naomi Klein, Margaret Atwood, Mark Rylance and Emma Thompson. The letter calls for Dr Fischer to sever ties with BP on ethical grounds, specifically name-checking the catastrophic Deepwater Horizon oil spill as a major cause for concern. "As the impacts of climate change are being felt more forcefully around the world, it is vital that prominent public institutions like the British Museum play their part in minimising the environmental impacts of their activities...BP’s business plan is incompatible with a stable climate, and the company is using its influence to lobby against effective climate policies." The move comes just weeks after Tate announced it would be ending its decades-long relationship with BP, although the gallery has denied that its decision had anything to do with the controversy surrounding its sponsorship (which had long been protested by environmental campaigners). In a statement to the publication, the British Museum denied that they would be ending their deal with BP at the request of the protestors (who were organised by the PCS Union and the Art Not Oil coalition), saying "the British Museum is exceptionally grateful to BP for their loyal and ongoing support, which has allowed the museum to bring world cultures to a global audience through hugely popular exhibitions and their associated public programs." If you'd like to see the British Museum end its sponsorship deal with BP, you can sign a petition calling for them to sever ties here.